Lucinda Parker has been a central figure in the Portland art world for several decades. This major retrospective includes pieces spanning nearly 60 years, from Parker’s time as a student to just a few years ago. Her most well-known art is characterized by textural layering and a physical painting process that yields muscular shapes and gestural motions. 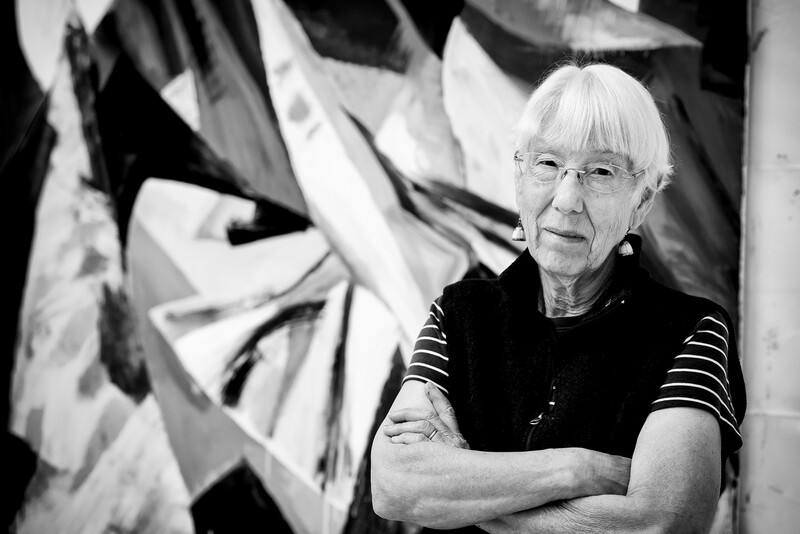 Parker’s iconic paintings adorn the walls of many public spaces throughout the Northwest; her artwork is rooted in natural shapes and gives attention toward spatial dynamics within abstract and invented compositions. These attributes can be seen in works as early as a 1960 piece depicting a Vermont waterfall, a landscape distilled into bold activated forms. Parker was raised in New England and moved to Portland in the 1960s to attend a joint degree program at Reed College and the Museum Art School (now Pacific Northwest College of Art). After graduate studies in New York, she and her husband returned to Portland, where Parker has lived ever since. Cubistic reimaginings of Mount Hood and the surrounding cloudscapes have been a primary subject for Parker in recent years, and many notable large-scale commissions can be seen in prominent buildings on the West Coast.